Have you ever looked in your shed and found something lurking among the garden tools, spiderwebs and musty packets of seeds? Something...alive? 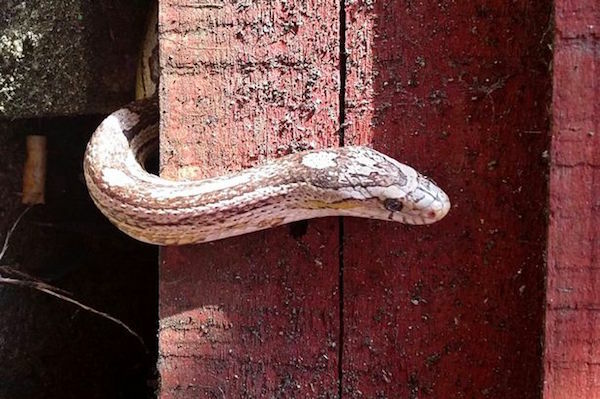 All over the country people are discovering unexpected visitors in their sheds. We’ve done some digging and here are some of the most unusual creatures that people have found making their home at the end of the garden. Brenda went back to her gardening but the snake emerged again just the next day. 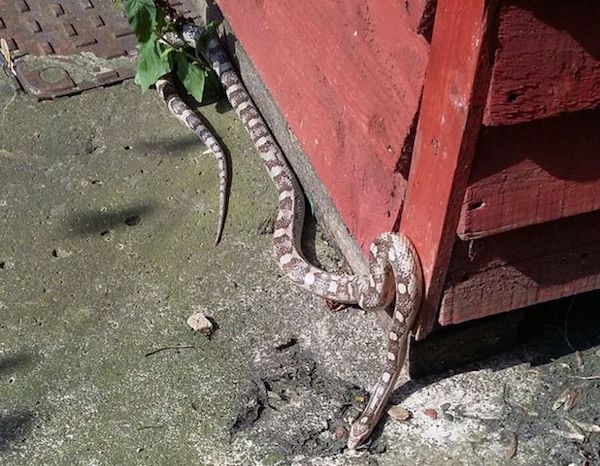 This time the snake was picked up by a local reptile centre, but it’s still a mystery how it found its way to the shed in the first place. The couple’s children were fascinated by the visitor, which was later safely captured by the RSPCA. Snake owner Daz Barnett was relieved when after nearly a week on the ‘slither’, his 6ft corn snake Fergie was found in a neighbour’s shed. But there’s no word on what the neighbour thought when he discovered the bright orange reptile! 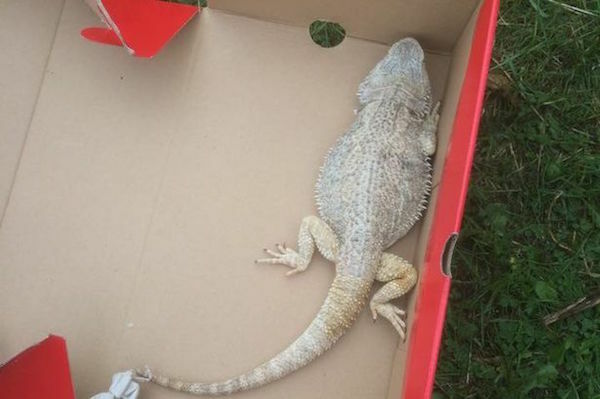 When Ross Gemmell cleared out the shed in his new garden, he picked up an old shoe box, only to discover a Bearded Dragon Lizard inside. He was so shocked, he nearly dropped the box. Luckily for the lizard, Ross knew it needed to be warmed up and fed so he took it to a local pet shop where they gave it something to eat and make sure it was rehydrated. 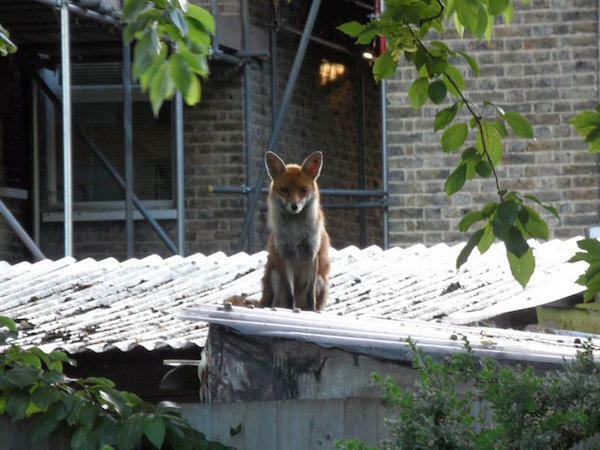 If the number of photos is anything to go by, shed roofs seem to attract foxes - perhaps because they offer a high vantage point or a safe spot for a snooze in the sunshine. We think the hens might agree, though! 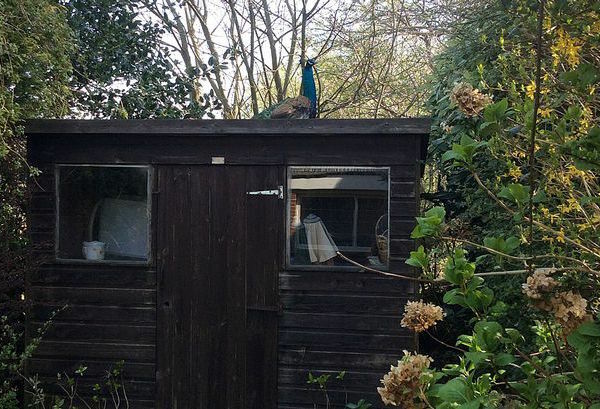 Wendy Linley's new shed decoration - a peacock! After being spotted all around Huddersfield, the brightly coloured bird later turned up in her garden where he took a well deserved rest - you guessed it - on her shed roof. 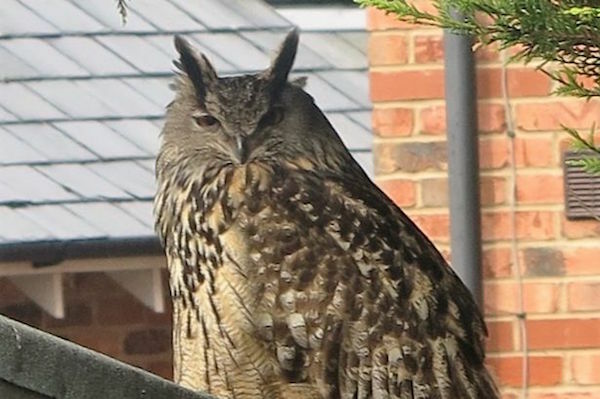 This giant eagle owl, the world’s largest species of owl, was spotted on the roof of Mary Robert’s shed in Liverpool. Despite his size and fearsome features the owl flies away when Mary walks up to it - it’s thought to be an escaped pet. 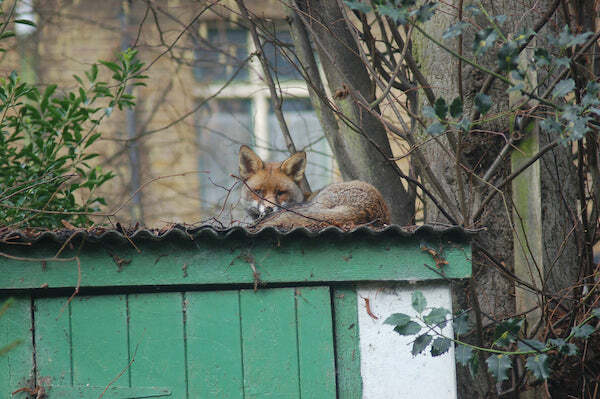 Less exotic creatures may also seek a temporary home in your shed, especially when autumn comes. 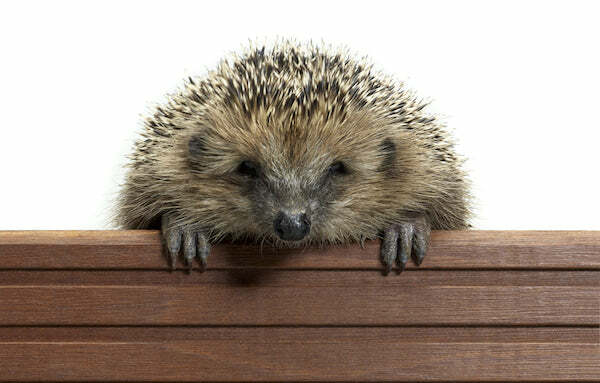 Hedgehogs, toads and bats all benefit from hibernating with a roof over their heads. The little blighters have chewed through petrol lines and stolen his tomatoes from the greenhouse, so, it’s finally time to resort to lethal force, says Rusty Duck. 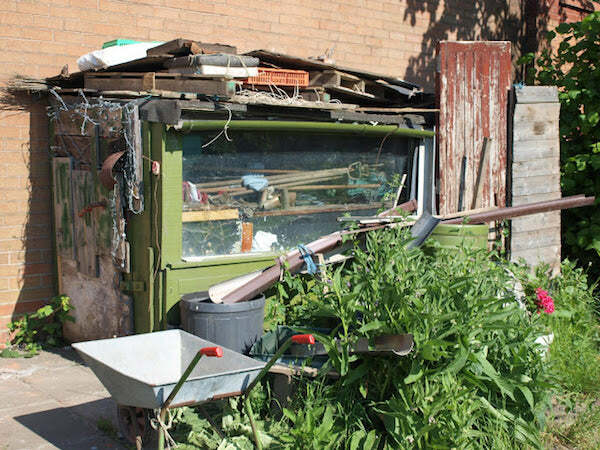 How habitable is Jed's shed? 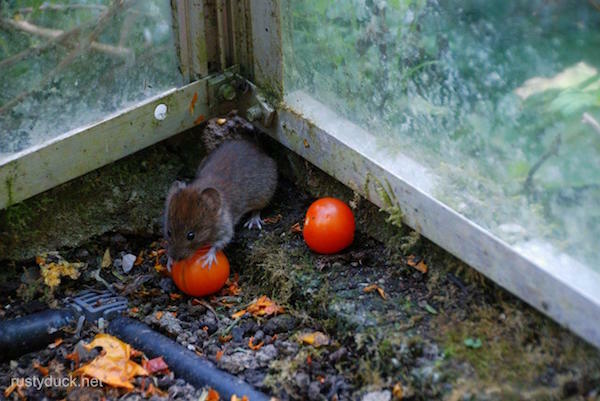 When old ale began to go missing from blogger Mark Willis’ friends rather ramshackle shed, the pair wondered what kind of creature might might be responsible. Maybe the slugs had a lucky escape! Next time you’re in your shed, have a good poke around and who knows what strange creature you might find. And if you do spot something out of the ordinary, please let us know and share your photos with us on our Facebook page.